The petitioner has attributed the rise in air pollution in Indian cities due to the dieselization of all types of vehicles in India and has averred in his petition that while the short term health effects due to diesel exhaust pollution are headache, nausea, nose congestion, eye irritation etc, long term exposure leads to cardiovascular disease, cardiopulmonary disease and high incidence of lung cancer. 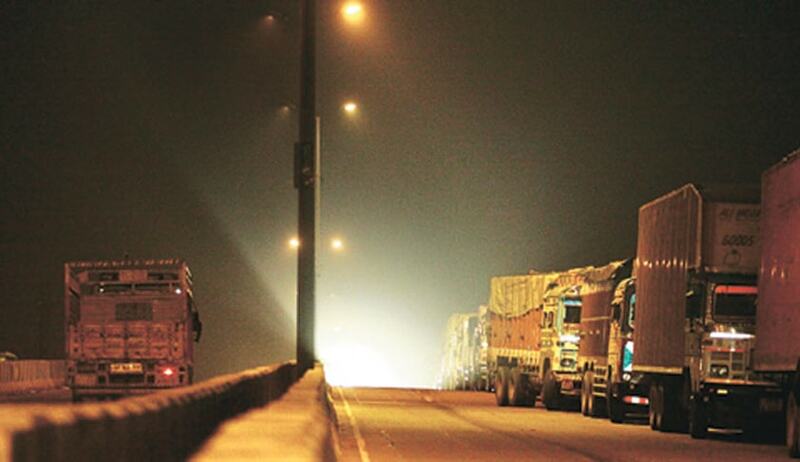 “Thus, increasing dieselization without strict emission norms is producing a huge burden of diseases and ailments for the road users and also for those living in the vicinity of roads,” contends the petitioner. Pointing out, on the basis of the findings of National Toxicology Program, Department of Health and Human Services and the report on Carcinogens, (Twelfth Edition, submitted in 2011), that die­sel exhaust particles are likely to account for the human lung cancer, the petitioner has also stated that the subsidy extended top diesel is being eaten away by the passenger car and the luxury car segment. Further, according to the petitioner, the car manufacturers are not subjected to emission norms and therefore are causing double jeopardy: eating into subsidies and causing environmental and consequent health damage. The petitioner has charged the Ministries of Environment and Forests and Petroleum and Natural Gas as also the Central Pollution Board of failing to discharge their constitutional duties to preserve and protect the air free from pollution. The petitioner, who is a resident of NCT of Delhi has averred in his petition that he is directly and substantially affected by the runaway pollution which has touched an all time high of 711 µg/m3 i.e. more than 30 times permissible by the WHO, and that he like the other residents of NCT are faced all kinds of respiratory difficulties arising out of this pollution of gargantuan proportions. Invoking the constitutional guarantees under Article 14 and 21 of the Constitution the petitioner has claimed that every citizen is entitled to maintenance of the environment, clean air, ecological balance, air and water free from pollution without which life cannot be enjoyed. The petitioner has specifically charged the official respondents of having been lax in the performance of their duties and that as a result the Euro IV and Euro V emission norms on diesel and petrol vehicles have not been implemented till date. “The policies in place are hopelessly out of date and out of sync with the realities. The failure of the Respondents to implement the Environment Protection Act, 1986, The Air (Prevention and Control of Pollution) Act, 1981, the new standards of emission norms followed in the developed world has resulted in transforming Delhi and the National Capital Territory and other Indian cities into virtual gas chambers” says the petitioner. The petitioner also avers in his writ petition that since the executive and the legislature have failed in their duties in safeguarding the fundamental rights of the citizens to a pollution free environment, he has been constrained to file the present Writ Petition. The writ petitioner has directly charged the respondents with allowing air standards to plummet in a little over a decade after the landmark verdict of the Supreme Court in 2001 wherein the Court had ordered conversion to CNG, all Public Transport Vehicle which included buses, taxies and vans. He has also demanded that the official respondents mandate that the existing vehicles be retro fitted with the technologies in tune with EURO V/ EURO VI to control emissions and they strictly enforce the National Auto Fuel Policy dated 6.10.2003 which envisaged vehicles and engines emission standards in India through a phased program for introducing Euro 2-4 emission and fuel regulations by 2010 and also direct the Respondents to bring a Fresh National Auto Fuel Policy take steps to implement EURO V.